Sleep peacefully in camp. 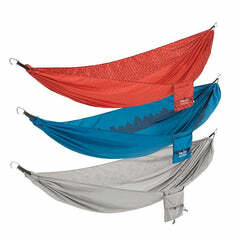 The fabric of this hammock is cotton-cloud soft, with just enough stretch to banish pressure points. 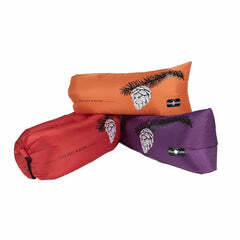 Seam-free construction guarantees you won't nap on bumpy ridges or wake up with stitchline face. Floor Dimensions 116" x 63"
Packed Size 2.5" x 10" x 8"